A self-taught artist and commercial designer \ photographer \ writer living and working in Atlanta,Georgia (and Pari, Italy), David's work has been shown throughout the United States and several foreign countries. 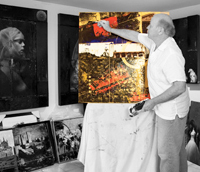 His unique conceptual art pieces and photo-illustrations have appeared in magazines, ads, brochures and other publications world-wide; and his fine art works-on-paper and mixed-media works-on-canvas are in several private collections. 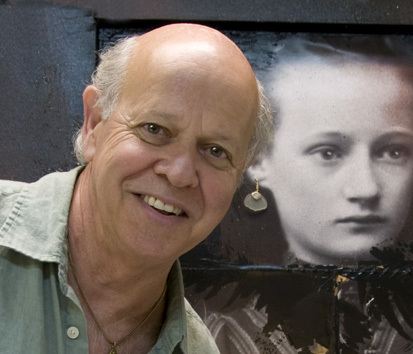 David's work has been juried into numerous national exhibitions by such renowned jurists as Jane Jackson, curator of the Sir Elton John Photography Collection; Julian Cox, former curator of Photography at the High Museum of Art in Atlanta; Fay Gold, Fay Gold Gallery; Naomi Silva, IRevelar; and, Stephen Wirtz of the Stephen Wirtz Gallery in San Francisco, CA. In 1985, David was the first photographer to have work accepted into the prestigious Salon des Artistes Indépendants in Paris, France, since the group's inception in 1887. His aprés du bord was prominently displayed in the Grand Palais for the duration of the salon. David holds an under-graduate degree from John Carroll University; a post-graduate degree from Lehigh University, and an Honorary Doctor of Laws.